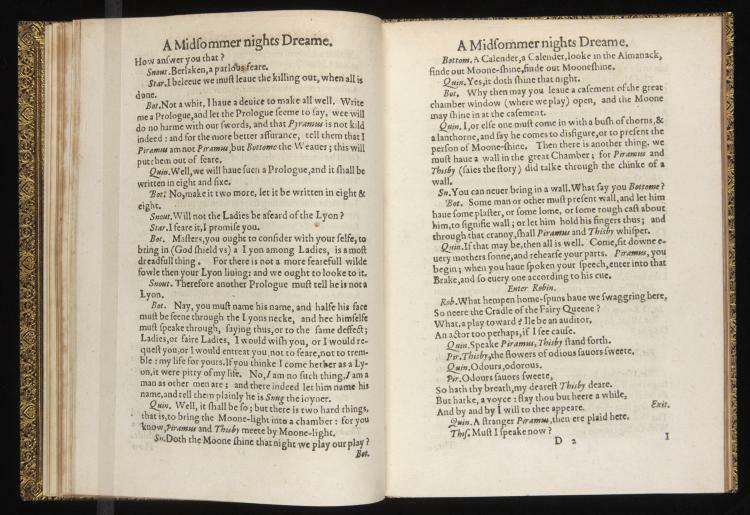 The year of Shakespeare’s death, 1616, was a monumental one for the playwright’s career, for it saw the printing of the first folio of Jonson’s collected works, a project that established the groundwork for Shakespeare’s own first folio, to be published some years later; but 1619, just three years later, was arguably more consequential a moment in the remembrance–and establishment–of Shakespeare’s career, marking as it does the first effort to put together a bound edition of Shakespeare’s collected works. The publisher behind the project was a man named Thomas Pavier, who worked with the help of William Jaggard, a printer, to set out to bring together several of Shakespeare’s plays in a format more durable and more expensive–and more prestigious–than the cheap pamphlet format in which Shakespeare’s plays had been printed thus far. 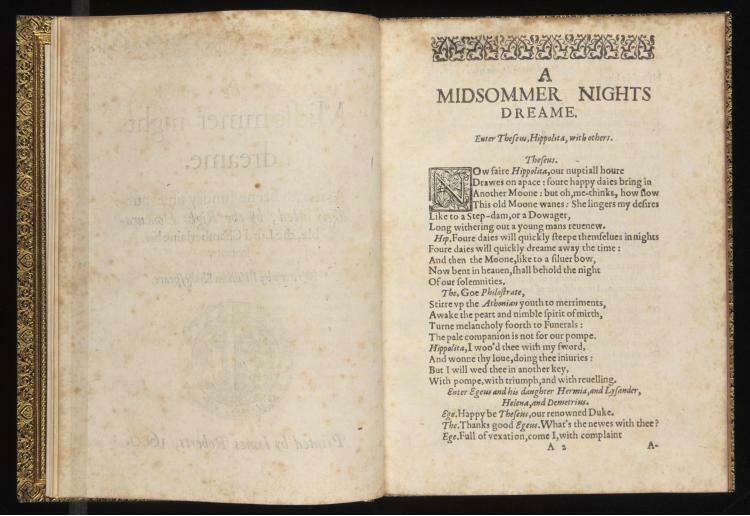 Scholars have determined that the collection would have included editions of Pericles, The Merry Wives of Windsor, The Merchant of Venice, A Midsummer Nights Dream, King Lear, Henry V, Sir John Old-Castle, A Yorkshire Tragedy, and versions of 2 Henry VI and 3 Henry VI, brought together as a single, two-part play bearing the title of The Whole Contention Between the Two Famous Houses: Lancaster and York. 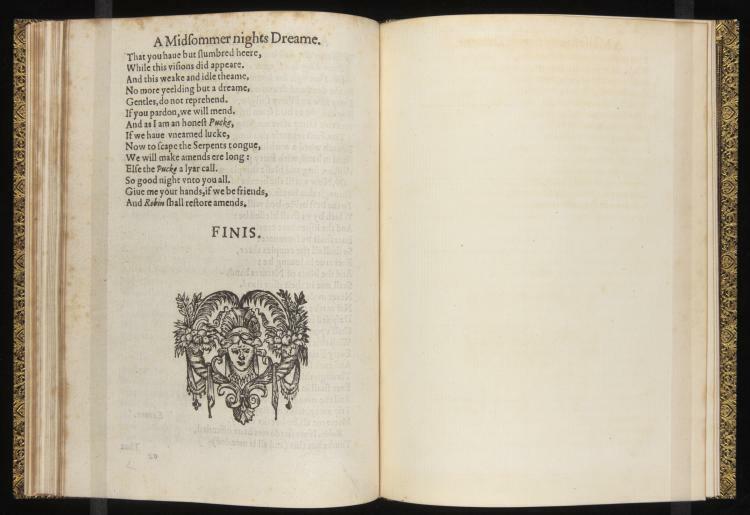 Preceding the 1623 First Folio by four years, the collaborative efforts of Thomas Pavier and William Jaggard mark a watershed moment in the re-collection of Shakespeare’s works, signaling the high status both of the author and of his plays, but they ran aground shortly after they began. 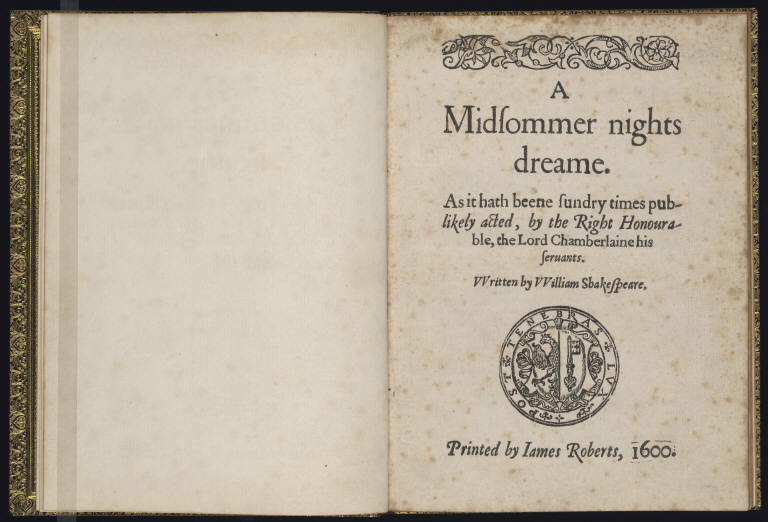 Pavier and Jaggard did not, in fact, have official permission to publish Shakespeare’s plays, which were still in the repertory of the King’s Men, the playing company Shakespeare wrote for. And so in May of 1619, the Lord Chamberlain, who was the chief official of the Royal Household, wrote a request, of sorts, that Pavier and Jaggard desist in their efforts. Pavier’s response, from the evidence that remains, seems to have been a shrewd one, not quite compliant and not quite flagrant, either. He printed the plays he and Jaggard had originally intended to, but as separate quartos instead of a single edition–referred to, today, as “Pavier Quartos”–each with a falsely dated title page, to give Jaggard and himself plausible deniability that the plays had been printed well before the Lord Chamberlain filed his request. 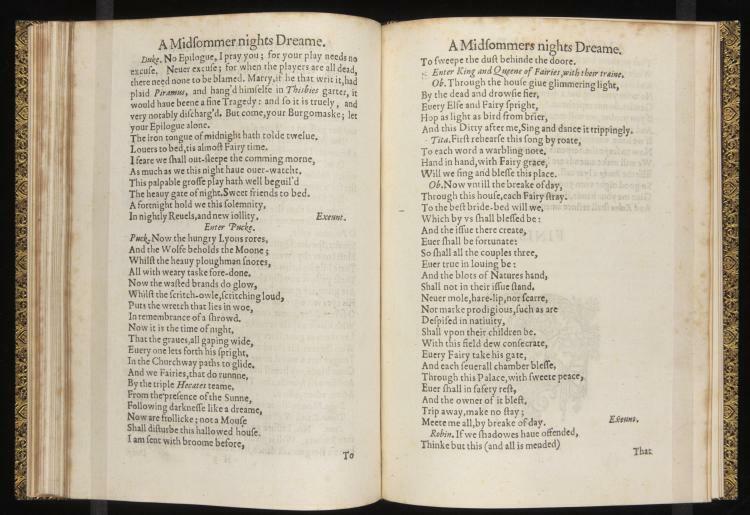 Today, Pavier’s and Jaggard’s abortive efforts are overshadowed by the First Folio and its later iterations, but the strange history of the Pavier Quarto should remind us that the First Folio was not quite the first of its kind. Origins–even Shakespeare’s–are always a messy business.